Deadbeat Super Affiliate – Deadbeat program? Profit Engine – Mark Ling’s Profit Engine Reviewed! Mark Ling has teamed up with a few internet marketers Gerry Cramer and Rob Jones to create a new program called Profit Engine. I have had the fortunate luxury of taking a quick peek at the Profit Engine platform before it launches and I must say it looks pretty good! Mark Ling’s Profit Engine on the surface looks like it could work and produce a nice income if it is responsive to Facebooks changing rules and perameters. With Mark Ling’s participation this has the potential to be a really good product, but the” proof is in the pudding” as they say. Originally when I looked at the Profit Engine offer it looked really good but my perspective has changed a bit since I received some feedback from past participants of the program, so make sure you read the review right to the bottom because there’s a little good mixed in with the bad. I welcome your feedback and questions, cheers Mike. What is The Profit engine? Profit Engine is a brand new state of the art training platform that claims to take anyone from absolutely Zero experience online to earning a full-time income from promoting products online using paid traffic sources such as Facebook advertising. Profit Engine training consists of taking an absolutely green marketer and showing them how to generate profitable campaigns using paid traffic sources. You will learn how to build your affiliate business from the ground up covering topics such as the creation of high CTR ads, high converting presell pages, and how to find profitable offers to promote. After all the basic fundamentals of affiliate marketing have been covered off you will start by running small advertising campaigns with a very low budget and once you have found success using a very low advertising budget you gradually scale up your budget and your advertising efforts. Mark Ling’s latest offer focuses on a proven online income generation technique called Affiliate Marketing. Affiliate Marketing is a discipline I myself have used for years now to create a great living online so I know it works quite well as a income generation technique. The biggest problem people face when trying to learn affiliate marketing is finding a platform that delivers results, Wealthy Affiliate is another program that I personally used to get my start in affiliate marketing that offers a free starter membership and a considerably lower cost, they offer comprehensive training and unsurpassed support. Get your free copy of Mark Ling’s $1000 a day blue print here! Who Will Benefit From Joining Profit Engine? When I first did this Profit Engine review, on the surface it looked like anyone would benefit from this program, even newbies to internet marketing. Since receiving, for the most part, critical feedback from past participants I can’t blindly endorse the Profit Engine program, even though I do have the utmost confidence in Mark Ling’s previous ventures. If you have any positive experiences with the Profit Engine, like making actual money, please leave a comment for my readers. When I looked at the program initially, in theory the program had Merritt. With Mark Ling’s involvement in the Profit Engine comes a reputation of credibility and ethical behaviour. Mark has created many helpful internet marketing products to help new marketers over the years. From the feedback I have received turns out that Mark is mostly behind the scene, not so much in the day to day training. Mark Ling is probably the most well known and accomplished marketer of the trio. Mark has many successful online endevours to his name, the most notable was his last online income generating program called Affilorama. Mark is reported to have made millions online as an affiliate marketer and you can see Marks influence on the Profit Engine program. Gerry Cramer is an Internet Marketer who specializes in product launches and software creation adding his expertise to the different training components of the Profit Engines platform, notably building successful product launches. Gerry Cramer isn’t as high profile as Mark Ling but has quite the affiliate marketing track record notably as Click Banks top earner for many years running which is quite the accomplishment. Gerry’s experience as a super affiliate brings value to the trios new creation. Gerry Cramer and Rob Jones the other member of the Profit Engine trio partnered up to deliver a piece of software in the form of a WordPress plugin called Trust Jacker that was created to help internet marketers. Trust Jacker, the software that Gerry and Rob created allows internet marketers to source trustworthy content and place ads behind the content. To be honest the reviews I have read on Traffic Jacker were less than positive. 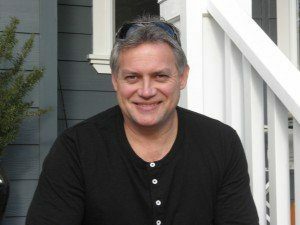 Rob Jones – All I could find on Rob Jones was his connection to the Traffic Jacker product and that info wasn’t all that flattering as I mentioned. The reviews I read on Traffic Hacker were less than positive most reviews looked at the product as less than role model type of behaviour. From comments I have received from participants that have participated in the Profit Engine program it sounds like this suspect behaviour has found it’s way into the profit Engine Program. I can only base this observation on the comments I have received, to date I haven’t received and positive comments in regards to the Profit Engine program. What Is The Special Edition Component Of The Profit Engine? The Special Edition Profit Engine is a 8 week program that is intended to teach you how to use inexpensive Facebook ads utilizing custom landing pages to drive customers to products. Gerry and Mark Ling are pitching a simple 3 step system that Gerry states makes him over $22,ooo per day in affiliate income. Here’s what you get with your buy in to the Profit Engine…..
High converting landing page that Gerry Crammer personally uses to make 5 figures plus a day making him the highest paid Click bank Affiliate. Gerry’s landing page has made many new affiliate marketers rich. An inside look at Facebook ads that really deliver sales with a insanely low cost , clicks for less than 8 cents that convert. You will learn how to get cheap clicks and big volume driving traffic to your offers. You will learn how to find “big money offers” that will make you rich over time. Get the secret million dollar image swipe file. This is a swipe file of images are proven winners . You will learn how to create your own money making images for your ads using Gerry’s formula for choosing high converting images for your ads. Have your ads critiqued by 7 figure earners such as Gerry and Rob and a few top earners. This is a unique opportunity to create ads that will generate some great incomes for you. Learn how to get ads built for you for under $5, these ads will translate into a huge profit for you! Learn how to start with a very small budget and as your business and income grows scale up your business as the income rolls in. There are 3 bonuses that you will also get with the special edition Profit Engine…..
6 live workshops where Mark reveals a new niche idea and shows you offers that convert. Mark takes any questions you may have on these live calls. You will get recordings and the opportunity to ask questions if you can’t make the live calls. These bonuses are a great addition to an already superior course and a great opportunity to make an insane living online. I am really selective on programs I approve or recommend and it looks like originally I missed the mark on this one. As you read my review it really looks like there is a ton of info and training which there is, but where participants are saying the programs falls down from their experiences is that the Facebook advertising element wasn’t working for them as advertised and they were also stating that by the time they applied for a refund they were strung out so long that they couldn’t get a refund. These aren’t my findings, these comments are from people who gave the program a try and forked out some pretty good money in the process. Membership transactions for the Profit Engine program are processed through a market place called “clickBank” which offers a really good refund policy which I have never personally had any issues with in the past and would recommend their market place for that reason. I assumed this would be a huge plus for participants, but it turns out from feedback that I have received that the 30 day window that ClickBank offers for refunds is exceeded by the way the Profit Engine program is laid out. One participant told me by the time you get to the 30 day mark you really don’t have much to complain about because you really aren’t into the meat of the program, you really don’t have a sense that you want to bail on the program at the 30 day mark. Once you have passed the 30 day mark you are out of luck. One of the reasons I felt ok with the profit Engine opportunity is they do offer a “30 day money back guarantee” which if you think about it gives you roughly half the course for free and a wealth of free knowledge and marketing techniques! 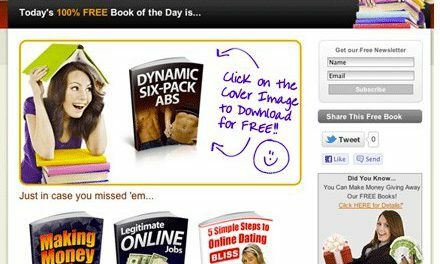 The 8 week program comes with a 30 day money back guarantee which does work out to trying about half the course before you have to make the decision to actually risk any money, this is a crazy offer when you think about it, gives you a great look at the program and a really good idea if it is going to work for you, turns out from feedback this isn’t the case. What had me initially excited about the Profit Engine offer was that the creators must have felt pretty confident in their offer and your chances of making money because they also bolstered the refund policy with a “double your money back” guarantee if you follow their instructions to the letter. I am a fan of Mark Ling and products he has been involved in, but so far from the feedback I have received it appears Mark is behind the scenes with very little if any live participation in the program. I welcome any feedback or your thoughts on this review, cheers Mike. If you are still looking for a proven money making program I do recommend the program that gave me my start online. You don’t have to worry about any money back guarantee because it offers a free membership that gives you an unlimited time frame to try it out. Click Here To Learn More About The Program That Helped Me Make Thousands A Month In Online Income! 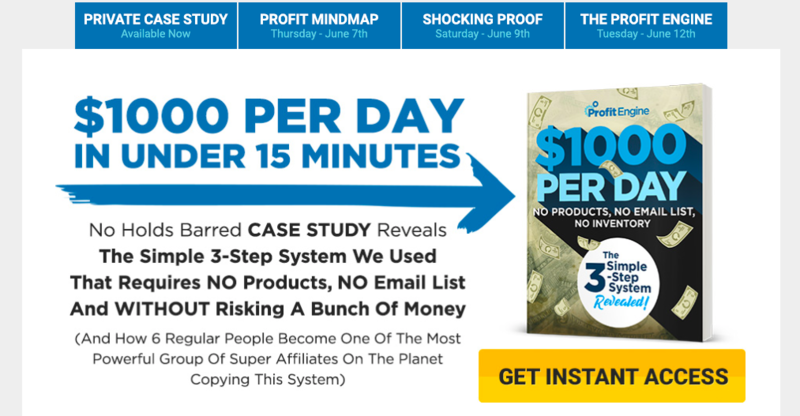 PreviousAffiliate Millionaire Club Review – Millionaire Sized Scam? Hi my name is Mike and I have participated successfully online as an Internet Marketer/Affiliate marketer for many years now. I created this site to help you avoid the costly mistakes I made in my pursuit of building an online income. Over the years I have tested numerous products and services that have claimed to be the program or system that will allow you to make money online, honestly, most programs fail the test. Which products or programs will help you make money online? My hope is you will find your answers here on my site. I hope you enjoy the information on my site and by all means please leave me your thoughts. If I can help in any way, don't hesitate to ask. I am always more than happy to pass on any knowledge that will help you find success online, cheers Mike. Auto Affiliate Program Review – Does It Really Work? 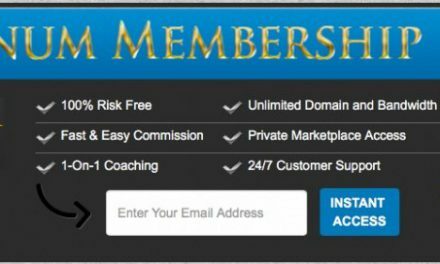 Affiliate Millionaire Club Review – Millionaire Sized Scam? I am reading reviews in retrospect after completing the Profit Engine course. To say I am frustrated, disillusioned and upset is an understatement. Quite simply it is a SCAM. I’m horrified that seemingly honest people such as yourself would have even considered promoting this or giving it a positive review. This was not a $70 course you could write off. Many people went into debt for the $2500 cost. There are so many people who are now in hardship having been promised the world by this course. * The offer we were told to promote was terrible and by photos found since, set up by a friend of Rob and Gerry’s. * They advocated unethical practices to avoid Facebook regulations. * Even then ad accounts were shut down repeatedly and they had ways to work around that. * They refuse to honour their “if you don’t make a sale” double money back guarantee. * The examples of success stories they used in the VSL were fabricated. e.g. Bonnie, promoted as “a 62 year old Grandmother went from being $70K in debt to $160K” was actually promoting herself as an affiliate marketing success 7 years ago! There are so many more examples. So please, if you are reading this, DO NOT BUY ANYTHING from Gerry Cramer or Rob Jones. Honestly, the jury is still out on Mark Ling. He did put his name to it and one of his assistants has been taking the course alongside us and could barely make a sale- an experienced affiliate marketer! Please feel free to reach out if you too have been hurt by these charlatans, or you would like more information. A fellow disgruntled student has started a Facebook page for us to gather and consider our options. Hi Karen, I did write a review based on my opinion of what I saw on the surface. I was not a member of the program only reviewed the attributes, people involved such as Mark Ling who I have never heard anything bad about. I did say that the jury was still out on this offer and that if all else failed ClickBank offered a 30 day money back guarantee. I have added members feedback that was offered to me on a regular basis by people “like yourself” who have paid for and tried the program. With the program being offered through ClickBank I felt confident that anyone who didn’t see anything substantive by the 30 day mark would apply for a refund. I would be very dissapointed if the profit engine creators knowingly strung the program out so that participants would refrain from utilizing their opportunity for a refund. I have not taken a single penny from the Profit Engine program, nor will I! I don’t endorse this program nor do I have an affiliate link going to the program at this point. I have heard my readers input and have written their input into this review to reflect their opinions and experiences. I would suggest getting in touch with Click bank and letting them know of your issues and see what they will do, they are pretty good about giving refunds, Mike. I have the same experienced with Karen and I have try to contact Clickbank for a refund but what clickbank did was contact the profit engine team and the profit engine team said that cannot be refund because I have already got many valuable lessons, and the clickbank cannot do anything at all. I have already try their system but really no step by step tutorial for us as an FB Ads beginner how to choose the type objective ads, how to make a good targeting, etc so I just try and learn it myself outside profit engine. I end up with a few sales but still negative because I already spent about 1000 usd ads with only about 10 sales with commission about 24 usd each. Now I heard Gerry open new mentoring program for anyone who want to be mentored by profit engine mentors. With the high cost for profit engine course and we got nothing I think it really not worth it, very far from as their promise at the promotion. Thank you for taking the time to leave your experiences Hendra, this will help others make an informed decision. Wish you all the best, cheers Mike. I boght the course in late June all i can say so far the promise it was on week 3 i should run FB Ad to start testing and making money well Im on week 5 and still not making money so far theoretically it sounds good but the facts are in the results, so far I have not even start testing I will keep you updated. Really looking forward to hearing what kind of results you have, make sure you keep us informed on your progress! best of luck, mike. I bought the course in June. They switched out the lessons during the course so they put you a week behind at week 3. As the other poster commented, I started running ads on week 3 with the limited amount of information they gave you, we are now going into week 8 and no profit to be made yet. They are teaching an outdated method that no longer works on FB (it did work a few years back). Plus they (Gerry and Rob) act like these zen gurus when they have no more integrity than the shadiest used car salesmen. In one of the lessons Gerry, like a total scumbag tells you to borrow money from your family and friends when you are already broke and spent your last dime on this course because you fell for the zen video. 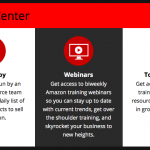 Part of the sales pitch of the course is that you never have to worry about ad account shutdowns with their method. I will tell you what that method is: ask your friends and family to open Business managers and ad accounts for you or get as many credit cards as you can, then go to coffee shops and open new FB accts there. Does this sound like a legit business practice to you? I think not. There is nothing they teach that can prepare you to make any money online. There is no community because they do not want students talking to each other. They changed the lesson plan around on week 3 so they wouldn’t get people asking for refunds, the lesson they replaced it with was bull, but it left you in a place not knowing where to go. I don’t think Mark Ling, who is well respected, knew what he was getting into when he teamed up with these two crooks. I went on the payment plan, so the course cost me 3k, then I have paid $350 in adspend with no profit. They will not give me my money back. When they do have lessons they always start late, never have a plan, it’s like two stoners making it up as they go. And supplemental material never gets put into their joke organization of a members area. Gerry and Rob’s background is all Blackhat software with Trustjacker and Eatworm software. Those two don’t have an honest bone in their bodies. I started my own student’s unofficial group, and there has been no profit, and lots of ad account shutdowns because we were encouraged to start running ads without proper guidance. Thank you so much for your candid feedback on the Profit Engine offer Donna. I have never been a huge fan of Face Book Advertising I know it’s a massive platform and a huge audience, but I know of quite a few top internet marketers that haven’t been able to make any decent money using Facebook advertising. You can go in the whole so fast and before you know it you could end up with a pretty nice bill. What concerns me is, Facebook advertising is a technique that you really need to know your stuff and be dialled into, if Profit Engine isn’t offering adequate training and support which is equally critical to online success, I would say they are missing a few critical components to finding success online. I also don’t like the idea that getting a refund is difficult. This product is offered through Click Bank who do have a good refund policy in place, I would reach out to them to see about a refund. Thanks again Donna for leaving your thoughts for my readers, have a great day Mike. This is very helpful – I signed up for the program because of their reputation and the 30 day money back guarantee. I will have access to 5 classes before deciding. Will keep you posted! Hi Lisa great to hear you are taking advantage of the 30 day Monet back guarantee, smart move! Please let us know how you find the program and what kind of success you have with the trios system, really you have nothing to lose and at worst you will learn a few things, thanks for stopping by, Mike. I don’t get it. What does they mean with using shocking images for the ads? I wouldn’t spend so much money for horror or so, if that’s the strategy behind it. Can you show me an example of the pictures they mean? Hi Christian, I believe what the profit engine creators are trying to say is, when you create facebook ads which they claim they have the winning secret to producing and getting targeted traffic from, they actually guarantee it, they make reference to creating ads that have graphic images that capture potential customers. This does make sense, it’s actually just good marketing. 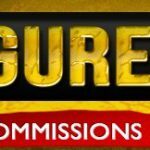 The program isn’t cheap by any means upwards of 2 grand, but you get a 30 day money back guarantee that comes through the Click Bank market place so really the Profit Engine doesn’t even have control over the refund process seeing they are using the Click Bank venue to sell their offer. 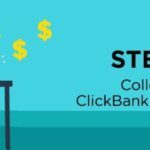 I have dealt with Click Bank for years now and I have never had anyone have an issue getting a refund. I have reviewed quite a few of the products they offer through their marketplace and I have personally never experienced any issues getting a refund. Like I mention in my Profit Engine review if you do the 8 week deal you get to actually participate for half of the program before you decide to bail or not, makes sense to me, hope that helps answer your question. Don’t hesitate to ask more questions if you have any, have a great day Mike. Great post. Full Profit Engine Review here! Hi, I'm Mike. I have been fortunate to have made a great income online over the years. I offer FREE advice and help through this site. Please don't hesitate to ask for help, I never turn anyone away. Enjoy the site! The Guaranteed Profit System – High Priced Trap? Can You Profit With All In One Profits? CB Passive Income 4.0 Review – Scam Or Legit? Home Biz Advisors – Scam Or Legitimate Offer?